Former Loose Tubes flautist and composer Eddie Parker and his ensemble take cues from Claude Debussy in a new show. Parker has a life-long passion for Debussy’s music. 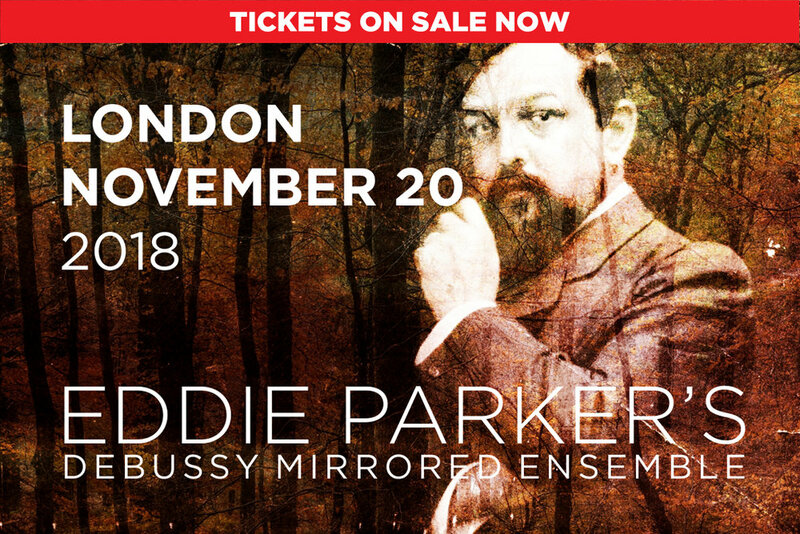 To celebrate the composer in his centenary year, Parker and the ensemble have created a repertoire that uses Debussy’s music as a starting point and leads our ears on a fascinating journey. This new ensemble combines the forces of 12 outstanding jazz and classical performers, and features the dynamic vocals of Brigitte Beraha and James Gilchrist. Parker gratefully acknowledges the assistance of Cheltenham Festival, Hawkwood House and Arts Council England.